Ready to make a game without coding? Try Buildbox for free. 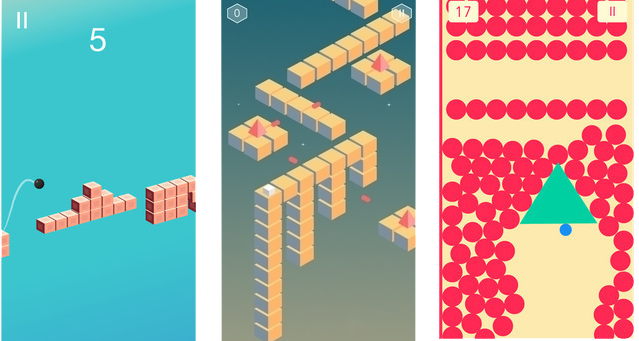 Buildbox has taken the game industry by storm in 2015 creating ten Apple featured games. Use the advanced level editor, special effects, unique power-up system, freemium economy creator and more to create amazing games that monetize well. With Buildbox, you’ll use an advanced level editor, special effects, unique power-up system, freemium economy creator and more to create amazing games that not only look great, but also monetize well. How Far Down The Rabbit Hole Will You Go? 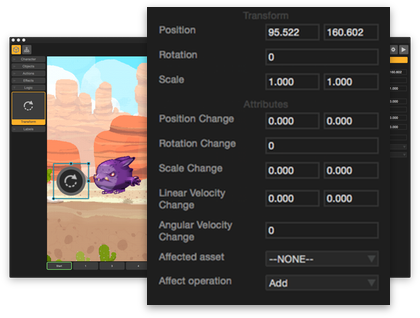 Though you can create a game in as little as 60 seconds, Buildbox also allows you to drive deep into insane features like real in-game logic, full control of gameplay settings and more with our infinity engine. We’ve worked tirelessly to make it easy to use, yet include every option you need. Ready to see Buildbox in action? Watch this video that dives into just a few features of Buildbox. Can you really make a game in only 60 seconds? Watch us attempt it in a live video. Chances are if you play mobile games, you’ve played a Buildbox game. Our customers have had 14 games featured by Apple and 15 games have broken the Top 100… more than ALL the other game builders combined. What’s even more amazing is they were all created without writing a single line of code. With top games like Ball Jump, The Line Zen, Dashy Panda and Circulate made with Buildbox, we’re not only the newest game builder on the block, we’re also the one with the most successful customers. We don’t lightly call it a revolution, but for our users it truly is. 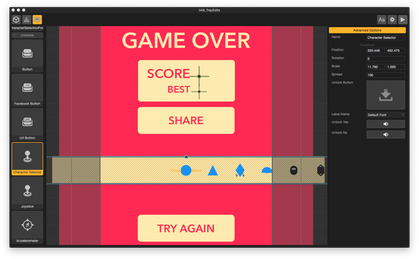 Buildbox is not only the easiest to use game creation software ever made… it’s also one of the most successful. 14 Buildbox games have been featured by Apple in 2015 below and our customers have had 15 games break the Top 100. That’s not only more than any other game builder… it’s more than ALL of them COMBINED! If you’ve ever had an interest in making a game – or better yet creating a game business – then there is truly nothing else like Buildbox. Download it now, for free, and get an art pack plus 30 days of training on creating your first game. "Before Buildbox, one of my biggest challenges was the hiring competent and efficient programmers." "This software is revolutionary and will change the way apps are built. Now the average person can make a game without programming experience." "So much fun. BuildBox is by far the best piece of game building software available in the market today." "Buildbox seems so simple at first but the more time I spend working with it I'm blown away by how much control you have." "Buildbox is amazing. We cannot wait to create awesome games for even more users and their devices." "I can't believe how easy it is to build games from the ground up. BuildBox has the potential to become the industry's go-to game engine." "After using BuildBox all I can say is that this is the most powerful and complete game building software I have ever seen or used." 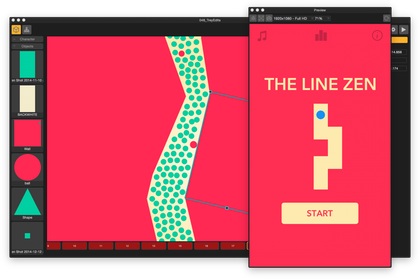 "Wildly addictive game creation experience. Buildbox is the most fun and user friendly game builder on the market." "Buildbox is the most incredible thing i have ever seen! The only limit is your imagination."